Blanch boys division 2 campaign has started with a 5.5 – 2.5 win over Lucan. This division has 8 players per team. We welcome Gabor on the boat (with the lucky draw). 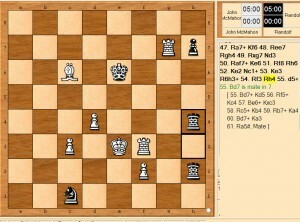 Here I just played f7-f5 with Black against John McMahon on board 6 – Asking for troubles. 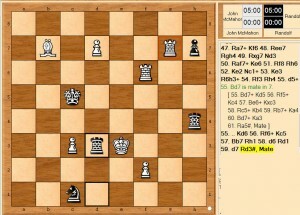 My opponent improved his position and was winning. 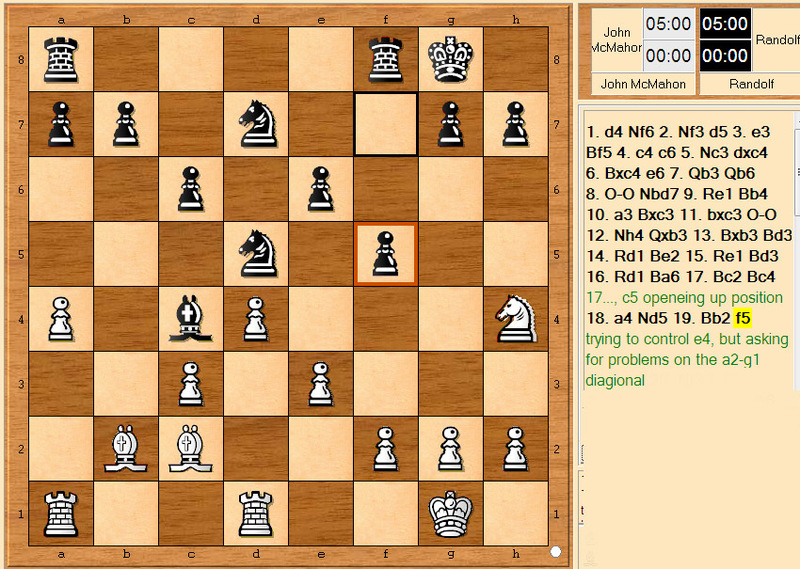 He missed a checkmate in 7 though – happens to the best. 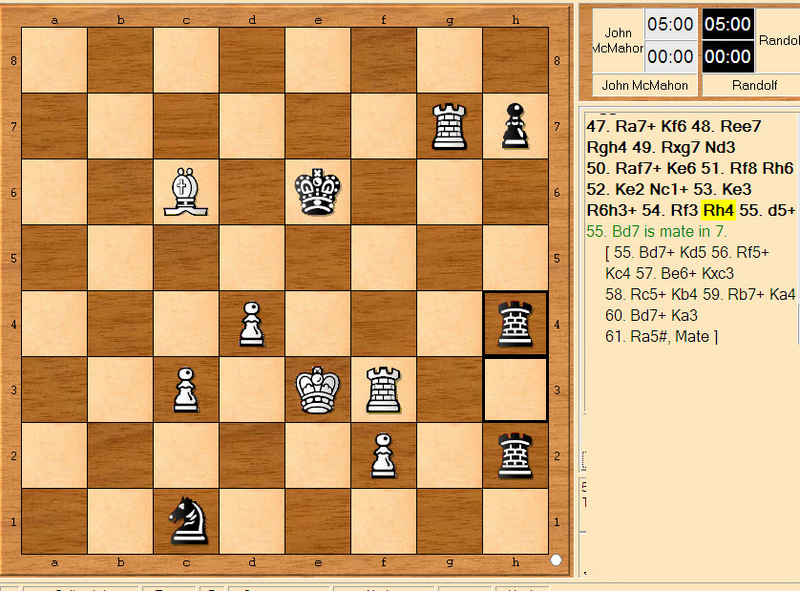 He thought he solved all his problems and was on the road to glory, except he didn’t know I’m a Tiger and looked for a cunning plan. 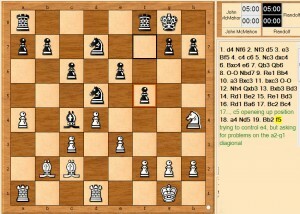 John played d5+, however the Bd7+ was the Mate in 7 move. 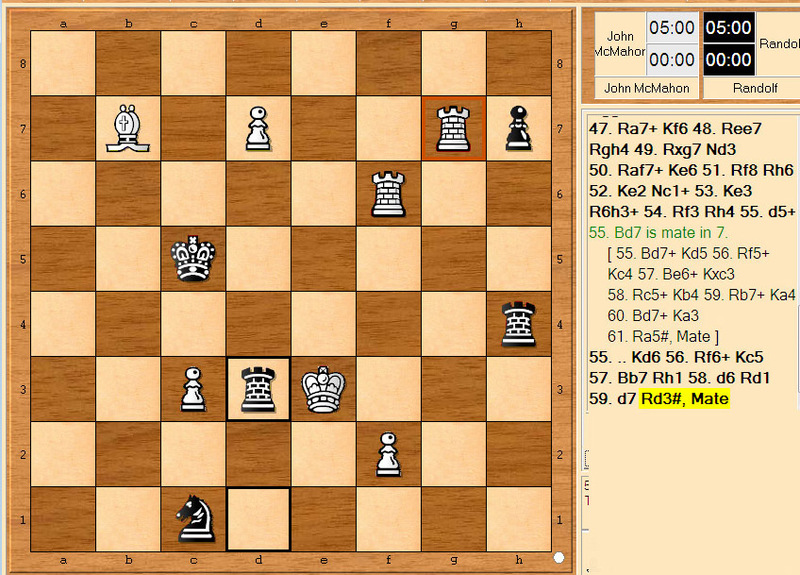 So my Rook went to h1 and after being discovered attack by the White Bishop to d1 pretending to stop White promoting, but secretly mating White’s King.